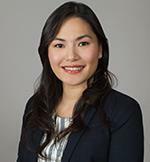 Anne T. Vo, PhD, is Assistant Professor of Clinical Medical Education at the Keck School of Medicine of University of Southern California. As an evaluation scholar-practitioner, Dr. Vo’s substantive interests lie at the intersection of comparative evaluation theory, evaluation capacity building, and organizational development. Her work contributes to the field’s understanding of how evaluation can be practiced better; where and how social science theory and evaluation science dovetail into each other; and how this knowledge can be leveraged to drive change. Evidence of these themes can be found in Vo’s evaluation practice. Her portfolio of program evaluations consists of work with academic support programs for students from disadvantaged communities; social interventions that are designed to address the pressing needs of current and former foster youth; leadership training programs for international educators working in politically challenging environments; and social enterprises that have been tasked by angel investors to achieve global social impact.